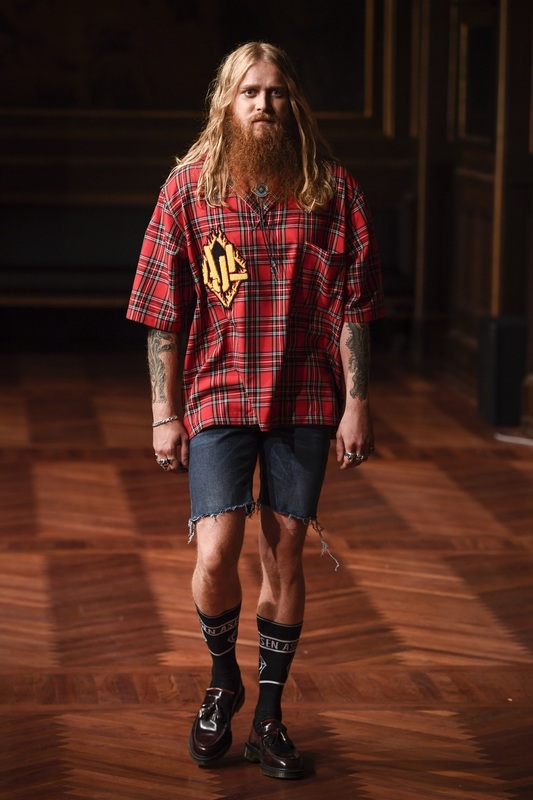 Copenhagen-based AsgerJuel Larsen’s SS17 menswear collection ‘BURNEDBUTNOTFRIED’ was creatively inspired by a brutal fire that raged through his studio on March 13, 2016, burning his library to the ground, including patterns,hard drives and past collections. Literally breathing fire into his passion, the inferno gave the collection that ensued new life, liberating Juel Larsen and catalysing a new chapter in his design. 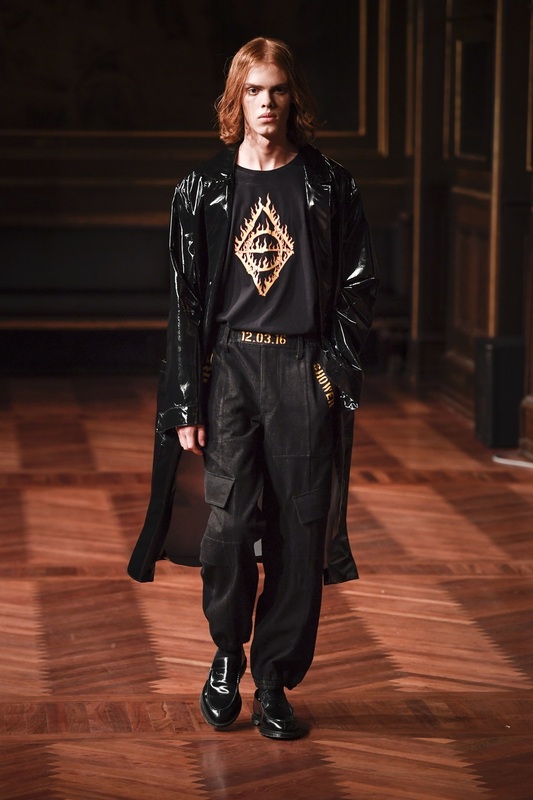 The collection has elements which explore the aesthetic of the flame including a witty logo encircled by flames and fire-fighter style trench coats. Patching together leftover material that was salvaged from the blaze, the collection has a gritty and raw vibe, especially in the frayed denim shorts which give a feeling of being purposefully unfinished. Larsen’s trademark chaos is reflected through the collection, which even-so, manages to exude a cool, dapper gentleman attitude with reimagined preppy American varsity jackets, leather trousers and oversized tops, shirts and even hoodies. This collection is a perfect example of seeing the silver lining behind every cloud.